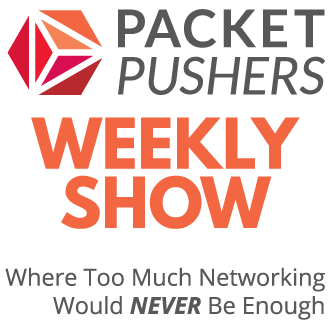 Packet Pushers’ Weekly Show is a podcast about data networking by network architects. 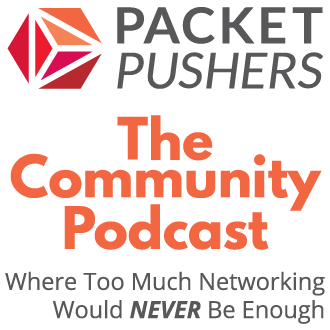 You get unvarnished opinion and practical insight on everything from network design to new products to worklife issues to the latest technology developments. What you won’t get is marketing drivel, buzzword babble, or empty consult-o-babble. Whether you’re a freshly minted router jockey or a bearded networking vet, you’ll hear independent voices who speak for IT professionals. Listen every week to sharpen your knowledge, learn something new, and have some fun. The Datanauts podcast blasts off into the data center vortex of compute, storage, networking and automation to explore the newest technologies, including hyperconvergence and cloud. Listen to Datanauts on your smart speaker using TuneIn broadcast service. 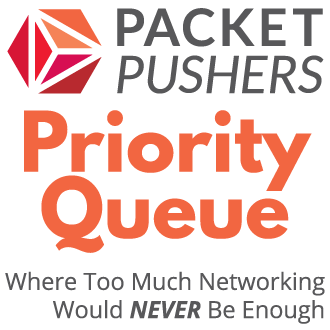 Packet Pushers’ Priority Queue is where engineers plunge deep into the data networking technologies that matter. From the fevered corridors of the hot aisle to the darkest corners of switching closets, you get in-depth explorations of products and protocols, and fearless leaps into the future of the industry. You also get informed analysis about the viability and usefulness of products and technologies from experts who actually have to make things work. The world is full of polished white papers and shiny slideware. 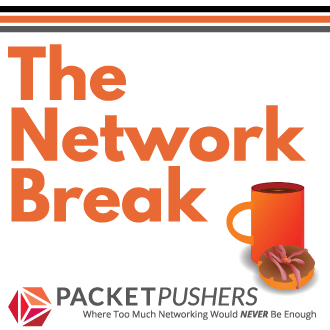 Listen to Priority Queue for raw insights into the ugly bits and sticking points that comprise real networking.